Connect a second audio player to a Goldwing. Freedom from compromise! You can each listen to the audio programs you prefer. Talk and Rock can coexist! Freedom from intercom wind noise! MuseSet2 does double duty as a microphone On/Off switch. Install MuseSet2 on your bike and merely press and release MuseSet2's Push To Toggle (PTT) switch to disconnect the passenger microphone and headphones from the intercom and connect them to another audio source... even an iPhone or Blackberry! Now your passenger can call ahead to make dinner reservations! 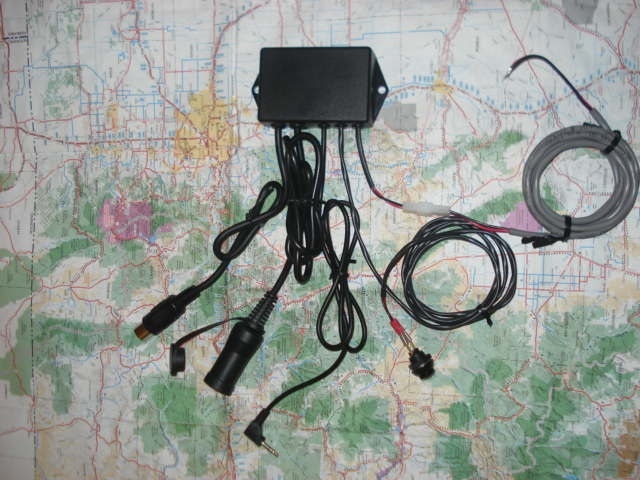 MuseSet2 does not alter the way your bike's CB, intercom, or audio system functions. It merely gives you back your... FREEDOM! MuseSet2 - 3.5mm Universal (pn 95521) USD 175.00 plus shipping. 30 day money-back guarantee!